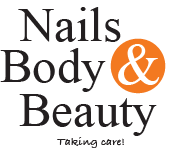 To shop in Nails, Body & Beauty´s Webshop, you must be 18 years old. If you are under 18 and want to shop you must ask one of your parents to order four you..
All orders are sent free of shipping !! - For orders that we have received payment before 1:00 Pm will ship from us the same day (for weekdays) and delivered within 1-3 working days. Note that the Post's retention period is 14 days from when the package arrives at your delivery. Our standard shipping is 59 SEK and the normally delivery time is within 3-6 business days, traceable package number and full insurance on your order if something happens on the way to your delivery. Orders are shipped with PostNord. Our standard shipping is 120 SEK and the normal delivery time is within 3-9 business days, traceable package number and full insurance on your order if something happens on the way to your delivery. Orders are shipped with PostNord. Your total amount on your order will be reduced by 12-25% du to local VAT. You may be asked to pay customs or VAT charges if your order passes through your local customs office. Card payment is currently the only option for orders outside Sweden. We accept VISA and Mastercard. Important to know is that we offer 3D Secure / SecureCode which is a safer solution for Card payment. Our card payments are managed by DIBS payment services and they have a 3D Secure license (verified by Visa and MasterCard SecureCode) and are certified according to PCI DSS. Om du skulle ångra dig direkt efter beställning ska du maila vår kundtjänst omedelbart kontakta oss. Om vi redan hunnit skicka din order kan du inte avbeställa utan får returnera paketet till oss. Du som kund står för returfrakten. Vi reserverar oss för eventuella faktafel i produktinformation och priser som finns på vår hemsida och även för att de produktbilder vi visar inte alltid överensstämmer i färgnyanser och / eller proportioner med den verkliga varan. Produktbilder på din dator kan uppfattas felaktigt eller avvikande beroende på vilken dator och dataskärm du har samt vilka inställningar som gjorts i din dator. Fact and price information is given with reservation for printing mistakes, price changes from suppliers, incorrect given technical specifications etc and sell-outs. The information which is given hereby is not constituting any promises about usage, adequacy, guarantee etc other than where is so clearly mentioned. Nails, Body & Beauty reserves the right to changing all information without preceding notification.